Wore this fun look out for a Saturday morning breakfast. What do you think of the red shades? Right now I’m feeling like this outfit could be my new uniform. Plenty of my fav color (red)? Check! Skinny jeans? Check! Black and white stripes? Check! Leopard sneakers? Check! Perfect for a crisp and sunny California fall/winter day! How’s the Christmas shopping going, Dolls? Went shopping online the other day and only bought a present for myself! Be sure to keep in touch for continued fashion fun! 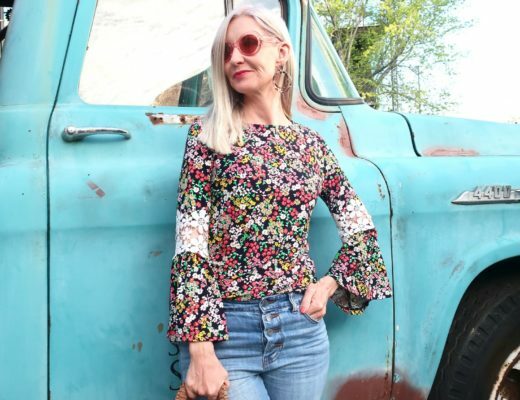 Pinterest, Facebook, Twitter, Instagram, & Bloglovin! Manic Monday! 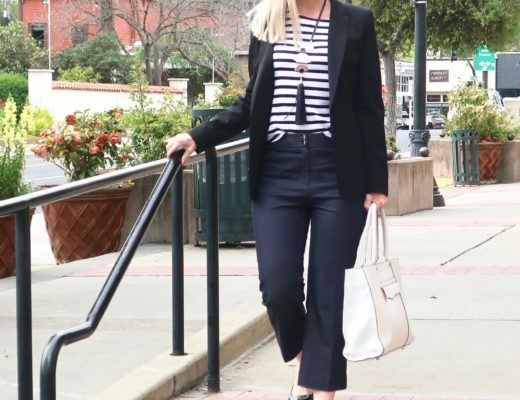 Style to Inspire! Because Shanna Said So!What I Wore! Such a pretty casual outfit, love the combination of stripes and red ! 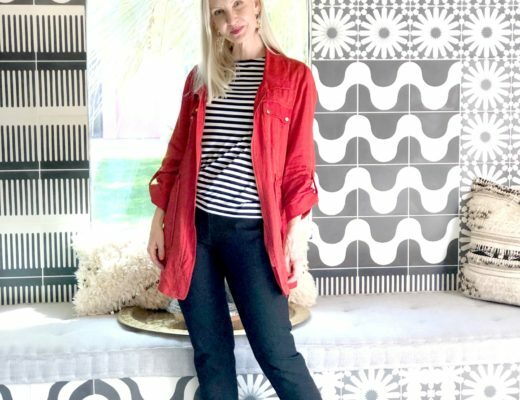 Red, stripes and leopard… You are after my own heart. Love this! LOL Bad Santa indeed : ) I love the coat, shoes and stripy shirt. I need a California winter. Yes yes … very bad Santa! Come to Cali for some sunshine and some shopping! I love it! I have a similar coat that I just found in my closet! I love those leopard shoes and striped tee! Hi Dawn Lucy! I'm definitely loving this red wool coat! So classy and elegant! 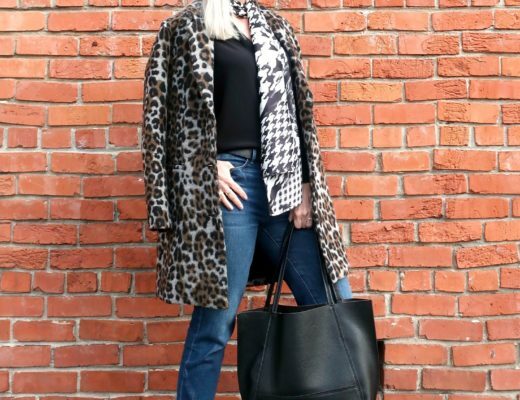 It is amazing how leopard goes with everything! And yeah, at least I can see a big improvement in my photos, though I sure would like to continue improving! I love red coats and this one is fabulous! And stripes with leopard sneaks? It goes without saying. Sometimes it's best to not look back at the old blog pictures because, dang! I've actually finished most of my Christmas shopping because I picked up a lot of gifts in Paris. Otherwise I'd be woefully behind. Except for myself of course! Love this outfit, so perfectly casual and chic!! The red shades are so cute on you too. Thanks, Marta! Red is my fav color and I just fell in the love with these crazy red shades. 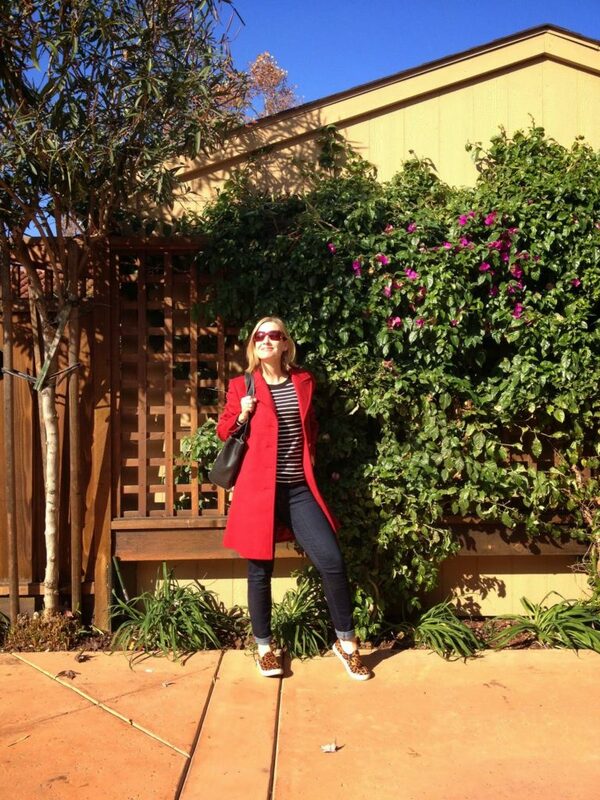 The combo of the fab red coat with the sneakers is beyond adorbs!!! Thanks Rebecca! Getting any fall/winter weather in LA yet? Thanks, Cynthia! Have a fab week, dear! 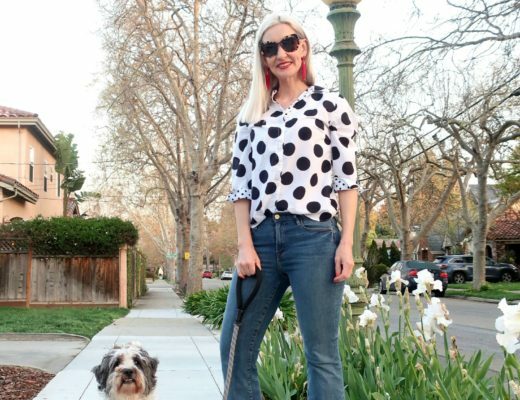 Love the red and the mix pf prints an adorable casual look Thank you so much for sharing! 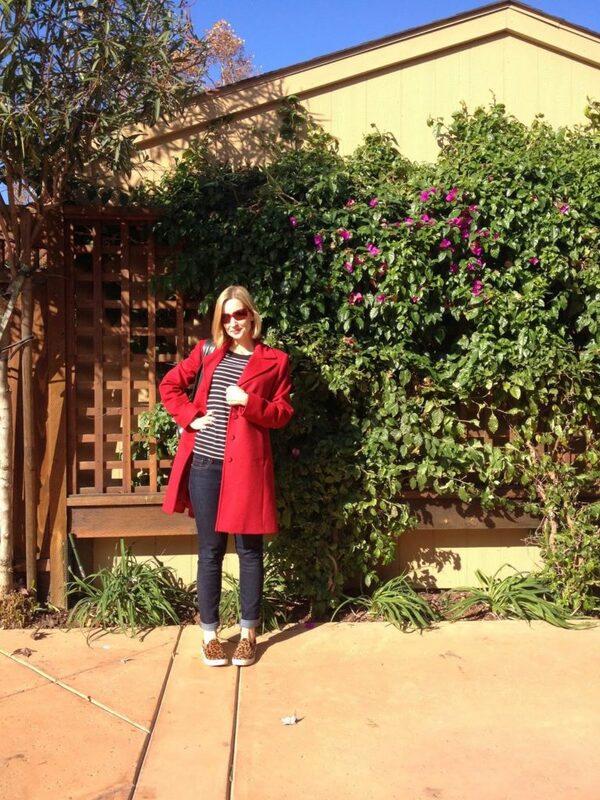 Dawn, I love this red coat on you! I have only 3 coats since I am here in Charlotte. I mostly wear leather jackets, but like you love red. Looks great with the skinny jeans and those leopard slip ons! fab! Thanks, Jess! In California, the wool coat does't get much use either, but on a cold morning I really appreciate it! You know I adore RED and especially a red dress or a red coat. I own two red coats of my own. Yours is stunning! Thanks, Ada! We love RED!!!! Thanks, sweet Kimi! I hear we have a BIG storm coming, but for now, the weather has been beautiful, right? Miss your face! I've done all my shopping online as I just couldn't face thr crowds. 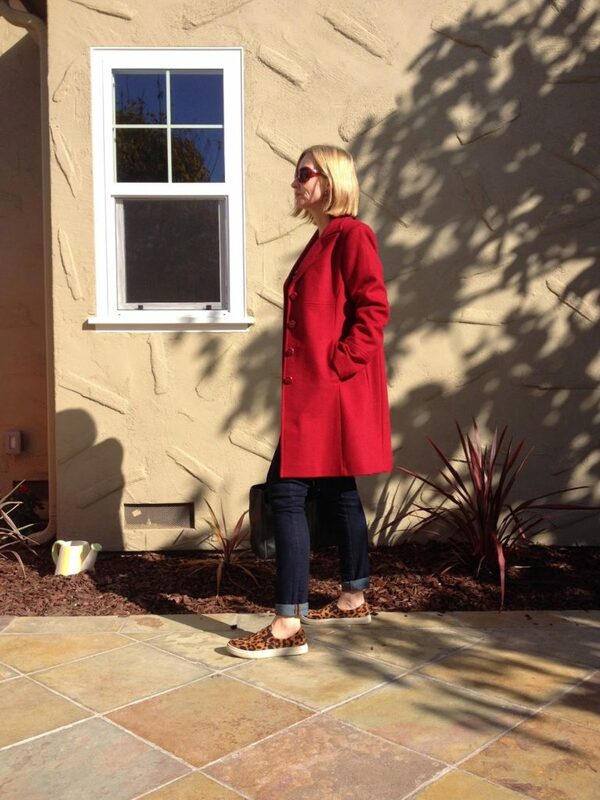 Love the red coat, I've a trench just very similar. I hate crowds too, Lorna. I've finally started, but still have so much to do! 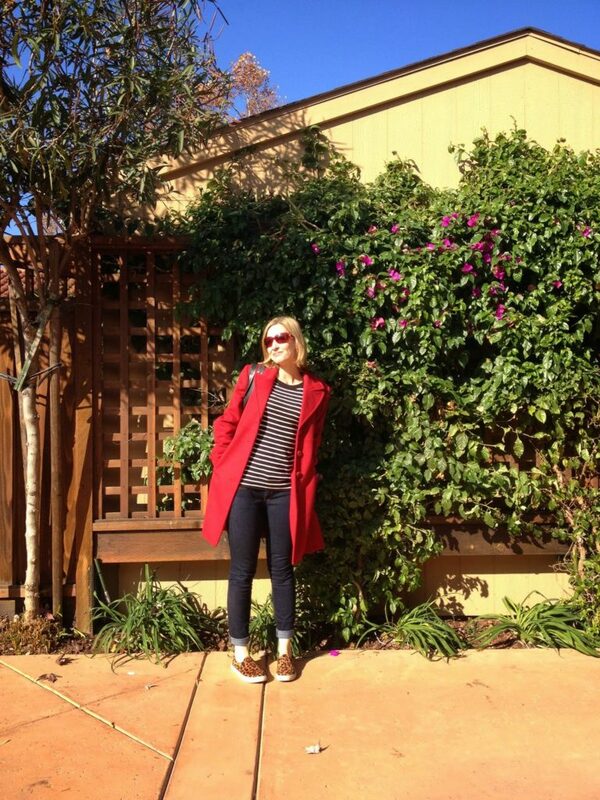 The red coat and stripes are perfect together! 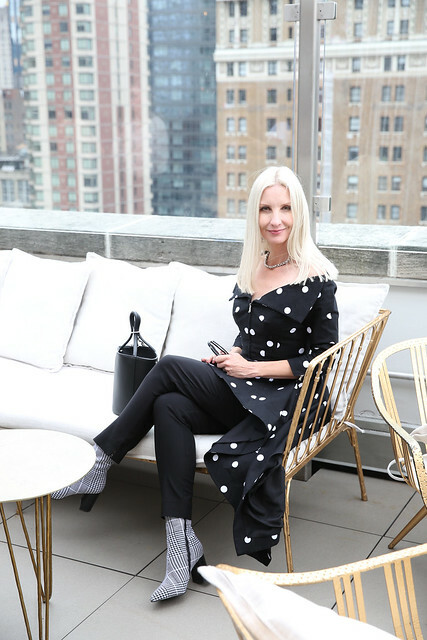 I love that you added leopard slip ons – so fun!